Dissatisfacton still awaits you by the door. Lonliness awaits you inside your home. Yes! 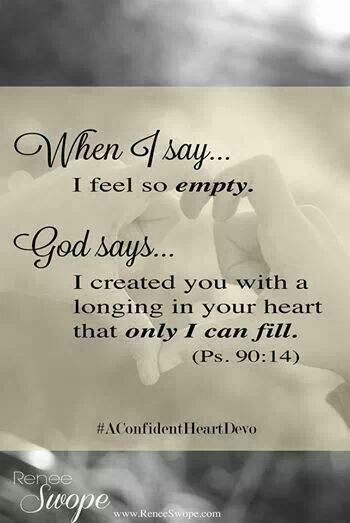 Only God can fill your empty soul. Your life has a purpose so don’t dispose of it. Give it to God. He cares and He wants your life. Yes, even the tiny pieces that you thought were blown away. Trust the Lord to heal, deliver and restore you. Take a chance and make a choice. It will the best decision of your life.